The time following a serious injury is extremely important. An experienced lawyer can make a world of difference in making sure you get the compensation you need for your medical expenses, lost income and other damages. For years, injured people across Western New York have placed their trust in the law firm of Campbell & Associates. 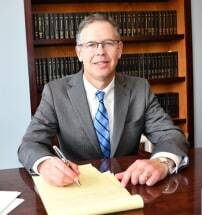 With locations in Dunkirk, Eden, Buffalo and Jamestown, our personal injury attorneys are devoted to our clients, providing attentive service and exceptional legal representation to people from all walks of life. Our law firm also represents families who have lost a loved one due to another's negligence. Whatever your claim involves, you can trust in us to present a strong case on your behalf. We accept all cases on a no-recovery, no-fee basis. To learn more, call 716-575-7444 to schedule your free initial consultation.